Active Living By Design is a non-profit that helps support healthy, active lifestyles for communities around the country. After being in business for over 10 years, ALBD needed a new web design to reflect their period of transition and growth. 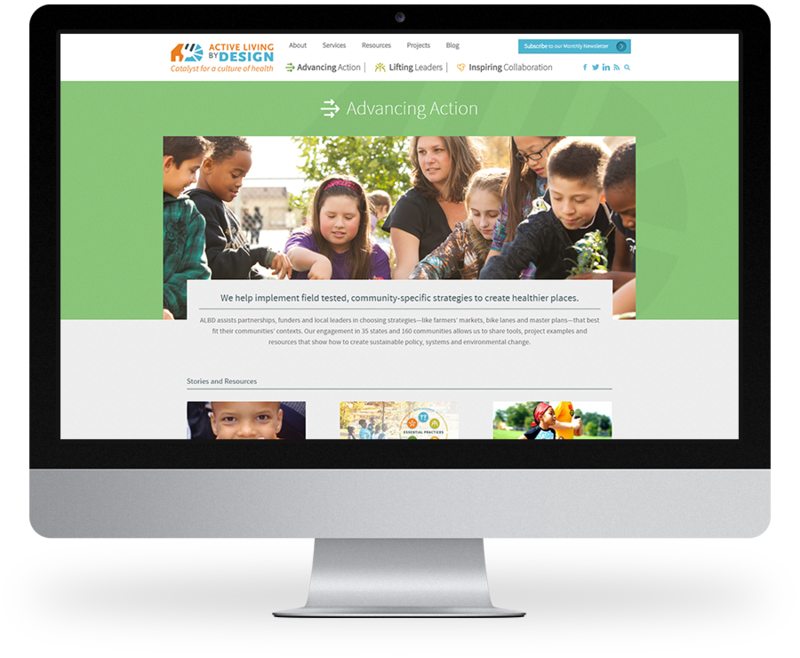 Kompleks Creative worked from Active Living By Design’s strong brand and existing color scheme to create a website that was fresh, well organized and easy to navigate. 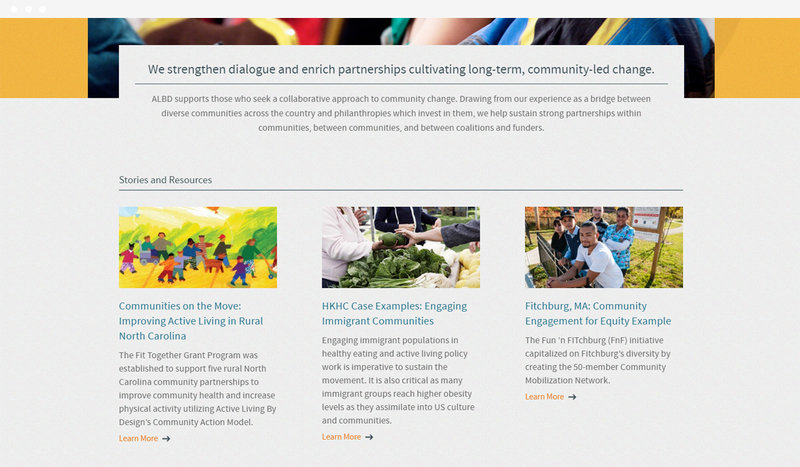 The existing website was filled with stories of community building and policy changes, as well as resources for users. We organized these stories and resources into three sections, that we call pillars, and built the rest of the website around those main pillars. Kompleks Creative used large photos, both in the foreground and background, to bring attention to the invaluable work Active Living By Design does for children and communities. ALBD is now represented by a warm, inviting website that symbolizes the future of their organization. With WordPress integration, updating the website’s content is effortless for the ALBD team.